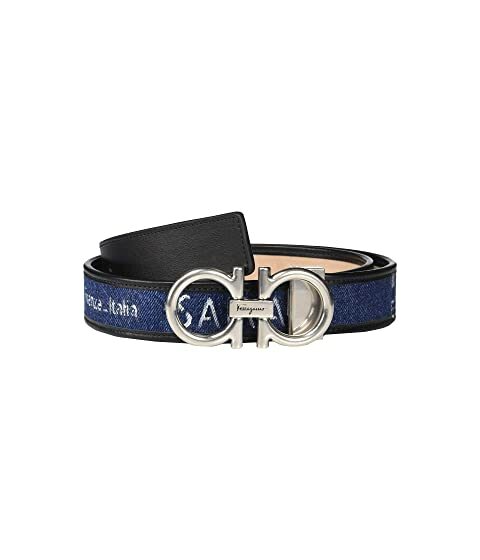 Employ the versatile elegance of the Salvatore Ferragamo® Adjustable Belt. Adjustable genuine leather and fabric belt with painted lettering. Signature silver-tone metal Double Gancio bit buckle. Can be cut for desired fit. We can't currently find any similar items for the Adjustable Belt - 67A029 by Salvatore Ferragamo. Sorry!